This one is actually a brunch, not just a breakfast. So thick and rich I didn't need to eat anything else for quite some time. And very much in line with my cardamom phase. Make it with some ready-made apple juice, 1 banana, half a small mango, 8 sweet black cherries, a handful of blueberries, 10 raspberries, the juice of half a lemon and a little pinch of ground cardamom. Another one after my very first. To brighten up this rainy Amsterdam summer day (please notice the support candle). 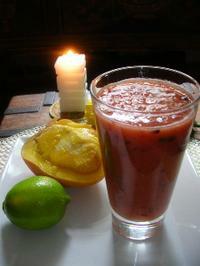 Lots of fruit in a ready-made tropical juice base. To be precise: 2 peaches, 6 raspberries, a handful of blueberries (I adore berries! 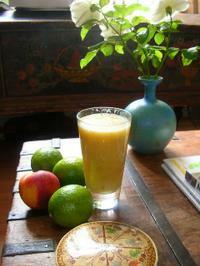 ), half a small mango, the juice of one lime and a few finely chopped rosemary leaves. It's a chunky smoothie, just the way I love it. Thick and full of flavours. Chop the rosemary leaves very finely or it will be even chunkier. A few years ago I totally changed my breakfast habits. Not that it's so hard to do since the typical Italian breakfast isn't that exciting - most people have just an espresso or a cappuccino at the local bar, sometimes accompanied by a cornetto, the Italian version of the French croissant, or caffelatte e biscotti, cookies dipped in milk with coffee, at home. I must admit that for a country of such food-obsessed people breakfast is definitely not a very representative meal but I guess it's because we prefer to concentrate our energy and appetite on more "substantial" things like il pranzo e la cena (lunch and dinner). So for me the best moment for eating lots of fresh fruit is definitely breakfast time. Though I love to spend lots of time cooking during the rest of the day - and I usually do - in the mornings I like being fast and furious. 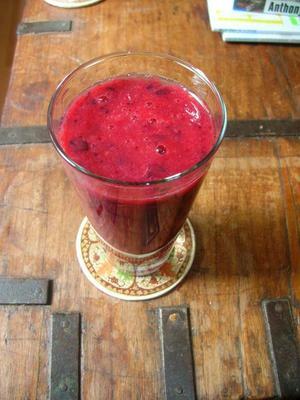 So I switched to making (and drinking) smoothies. And what a fantastic solution that is. 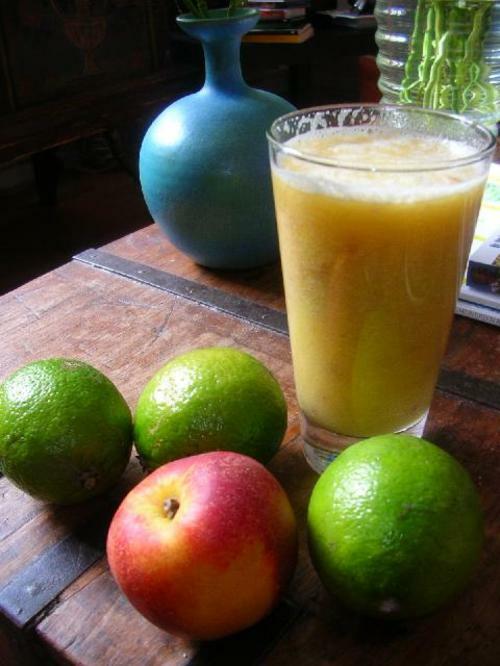 I usually prepare my smoothies with season's fruit and some good, ready-made - possibly organic - juice, often made from just apples or apples and cranberry. If I really crave for the tropical taste I add some creamy coconut milk and I ALWAYS use the juice of a lime, freshly squeezed and blended with the rest. I just LOVE limes. I use whole fruits - meaning with their skin - because of the fibers. 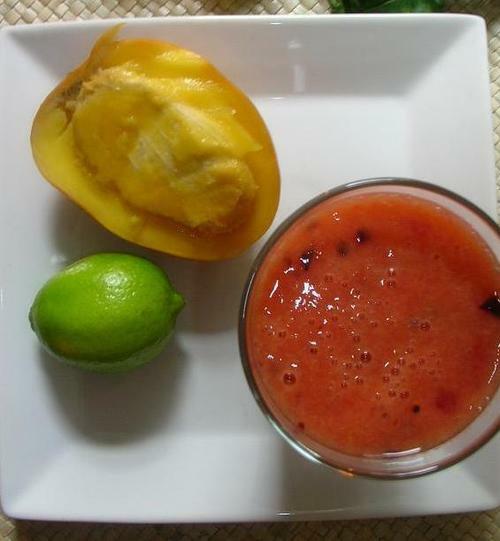 For the same reason I do not use a fruit centrifuge because all those precious fibers would be lost and just blend my fruit into the ready-made juice. This morning's version has a summery Italian taste thanks to the fresh basil and the nectarines plus a tropical twist due to the fresh pineapple and the coconut cream. I prefer fruit at room temperature but I love blending some ice cubes in it on hotter days. Blend everything together and serve immediately.